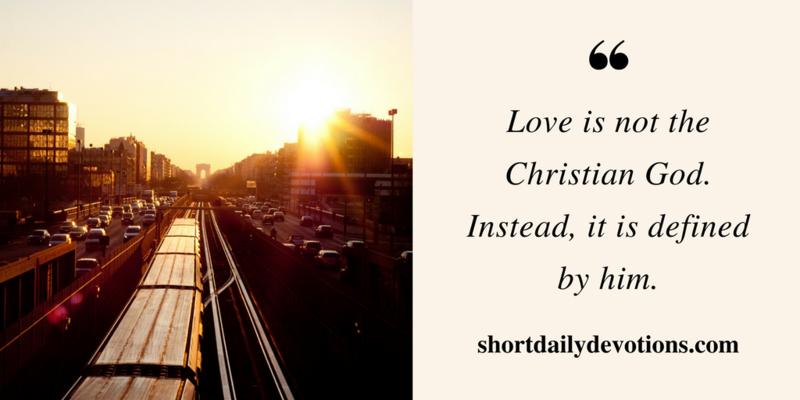 As Christians, true love is defined by God himself. Love is not our God, love is shown to us by him. So, in today’s verse we learn what real love looks like: Jesus Christ and his mission to save us. What’s amazing isn’t simply Jesus’ sacrifice for people who are undeserving. It’s his sacrificing for people who are ill-deserving. There’s a difference. Imagine someone broke into your house. They robbed your valuables and destroyed the property. At the end, you were left with a shell of what once was your safe home. However, the police caught the criminals and took them to the station. Upon hearing this, your father went to the station. And rather than telling the cops to “throw the book at them…” Your dad says something else. The officers are stunned—as are the criminals. It’s quiet for a moment as everyone processes what your father just said. This is a simple illustration of what love really looks like. You see, people are not only undeserving of salvation, we are ill-deserving. We aren’t mere bystanders. All it takes is a moment looking around the news to see humans are actively engaged in evil. Yet, while we were still sinners, Jesus died for us. He loved us in a scandalous way. This is the measure of Christian love. This is the breadth of God’s forgiveness. This is the depth of his kindness. …and remember, God’s kindness is meant to lead us to repentance (Rom 2:4). How will you reflect God’s love for people today? Where do you need to be drawn in by this radical grace and repent? Is your heart thankful to God? If so, does your gratitude for his love overflow into your life? How will this mark the fruit of evangelism in your life?